While I have read vast numbers of letters preserved in Federal pension files over the last number of years, very few of them were written on the day of an engagement. There are numerous reasons for this, but perhaps chief amongst them is that soldiers and sailors often did not have the opportunity–or inclination–to set about committing words to paper just moments after their lives had been in jeopardy. However, I recently came across one of the rare exceptions. 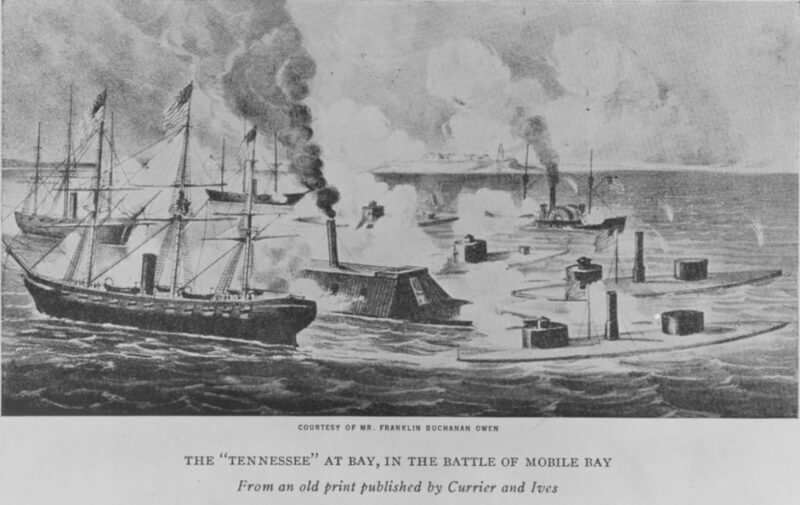 The letter was penned on 5th August 1864 by an Irish sailor who had just endured some of the most extreme naval violence of the Civil War–the Battle of Mobile Bay, Alabama. It is shared for the first time below. Irish-born John Brogan had been an apprentice Morocco Dresser in Philadelphia a little over two months before the Battle of Mobile Bay. The 22-year-old had divided his time between that city and Wilmington, Delaware, where his father lived on Franklin Street. His mother had died on 25th March 1862, leaving him the eldest boy in a family that included three sisters and a younger brother. On 1st June John had presented himself at the New York Naval Rendezvous and enlisted as a Landsman, having no previous maritime experience. He was described as 5 feet 4 inches tall, with a fair complexion, chestnut hair and dark eyes. He spent his first month learning the basics on the receiving ship USS North Carolina, before shipping south on the frigate USS Potomac on 1st July. 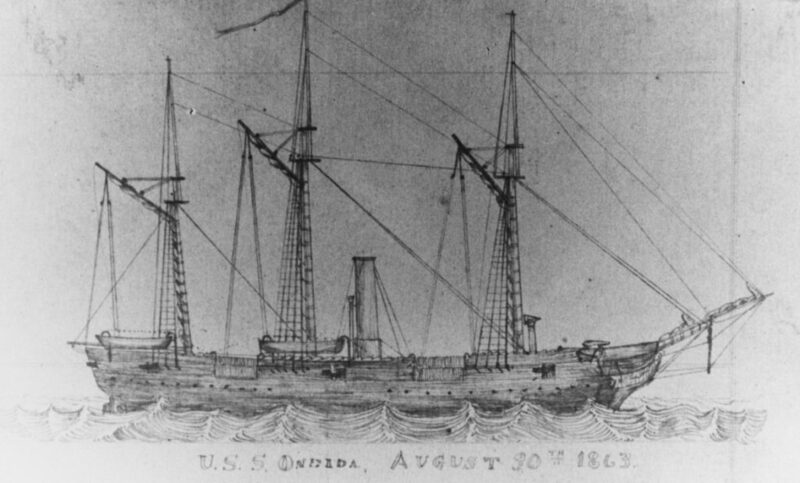 The Potomac brought him to his ultimate destination, the screw sloop-of-war USS Oneida, which John boarded on 20th July 1864. A little over two weeks later, he and his crewmates were steaming into Mobile Bay. On 5th August Admiral David Farragut led his 18 vessels in double-column towards Mobile Bay, part of a combined land and sea operation aimed at closing the port to blockade runners. 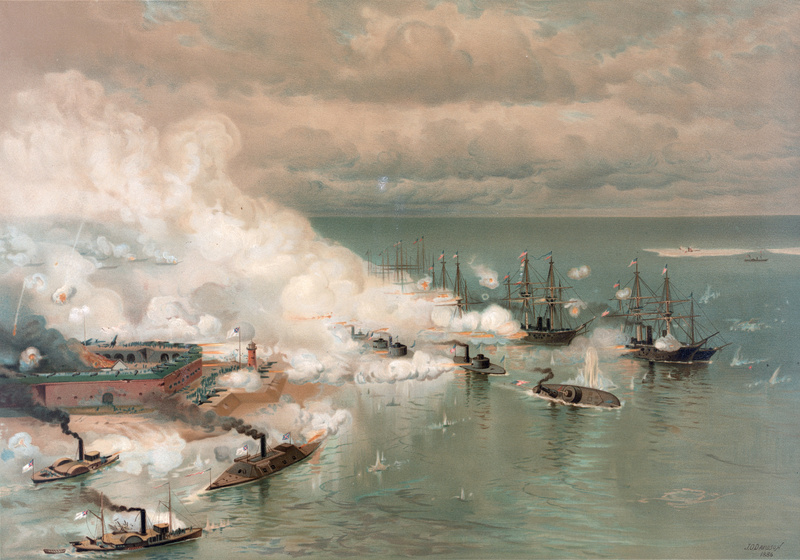 In order to gain a foothold in the Bay, they had to run the gauntlet of a torpedo-strewn channel under fire from Confederate Forts Gaines and Morgan. Once they had navigated that obstacle, they faced Confederate naval resistance, most notably the ironclad ram CSS Tennessee. 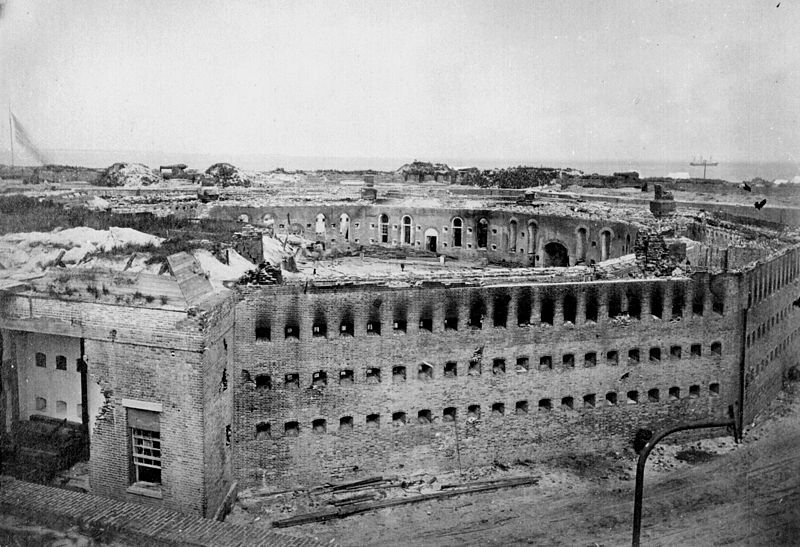 The operation was successful; the Rebel vessels were neutralised and ultimately the forts had to surrender (Fort Gaines on 8th August, Fort Morgan on 23rd August). One of the consequences of the 5th August action was that it saw more Irishmen awarded the Medal of Honor than any other single action in American history. John Brogan and USS Oneida had started to move towards the action at 5.18am on 5th August, bringing up the rear of Farragut’s fleet in company with the ironclad USS Galena. By 7.15am they were engaged with Fort Morgan, which was able to bring all it’s guns to bear on Oneida once the leading ships had run past. Around 7.45am a shell penetrated near the starboard boiler, scalding seven of the crew and driving the men from the fire and engine rooms. Another shell struck near the waterline and exploded in the cabin. Further fire from the forts hit the berth deck, and started a fire on top of the magazine which the sailor’s rushed to extinguish. Oneida had taken one of the worst batterings in the fleet at the hands of the forts, and the damage she sustained partially disabled her, forcing the vessel to shut down her starboard boiler. Aside from the galling fire of the forts, the Oneida soon found herself facing the ram Tennessee, which passed within two hundred yards as the Rebel ironclad moved to engage the Yankees. Thankfully for Oneida, difficulties with the ram’s charges meant that initially only one shot struck home. But Oneida’s position and condition meant that she wasn’t able to do much better, and could only reply with one gun. When the Tennessee passed astern, the Rebel ironclad let loose a raking fire which caused still further damage and wounded Oneida‘s commander, Irish American James Robert Madison Mullany (his father James had been born in Ireland, and had served in the War of 1812). 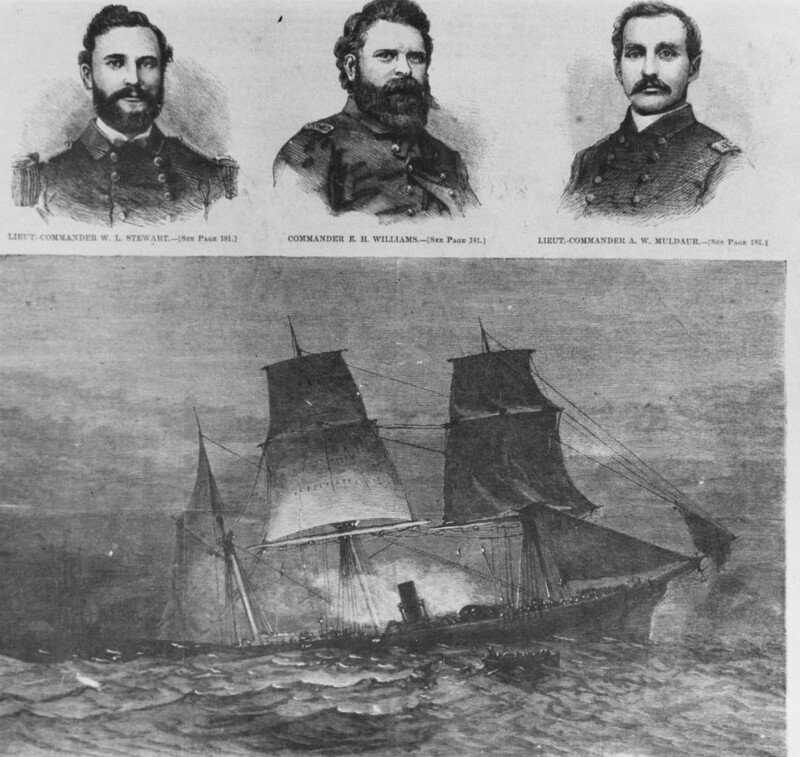 The treatment Oneida had received meant she couldn’t continue to play a role in the fighting; by late morning John and his comrades had been towed to an anchorage, which is where the Irishman wrote his letter. The casualties reported from the vessel that day were eight dead, eleven severely wounded and eighteen slightly wounded. 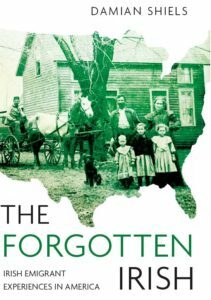 Many were Irish Americans. Eight of Oneida’s crew were ultimately awarded the Medal of Honor, including Irish-born John Preston and James Roantree, and at least one ethnic Irishman, James Sheridan. The often cruel hand of war showed itself for John Brogan within weeks. He survived Mobile Bay only to fall ill two months later. Suffering from Yellow Fever, he was transferred to the USS Fearnot to get to New Orleans and hospital, but died on 7th October 1864. Official Records of the Union and Confederate Navies, Series 1, Volume 21. Detailed Report of Lieutenant Huntington, U.S. Navy, Executive Officer of USS Oneida, Transmitting Reports from the Various Departments of the Vessel. Report of Casualties from USS Oneida, 5th August 1864. A very exciting read, thanks for posting! It’s always a pleasure to read primary sources on your blog, as it gives those archaic voices a chance to speak again.